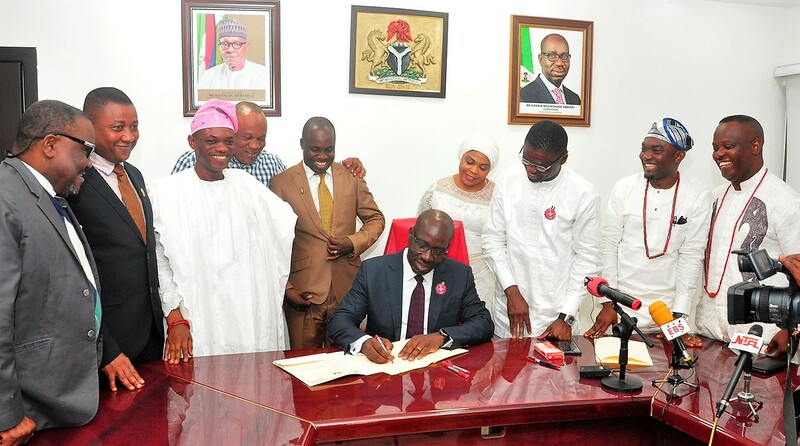 The Edo State Governor, Mr. Godwin Obaseki, on Wednesday, signed the N183.7 billion 2019 Appropriation Bill passed by the Edo State House of Assembly into law. The budget estimate, earlier pegged at N175 billion, was reviewed upward to N183,744,326,962.19 by the House of Assembly to provide funds for the completion of ongoing infrastructural projects across the state. The governor, who signed the budget after Speaker, Edo State House of Assembly, Hon. Kabiru Adjoto presented the 2019 Appropriation Bill to him at the Government House, thanked the legislature for the timely consideration and passage of the budget. According to him, “Last year, when parliament considered our budget and approved the budget before 31st December 2017, people taught we were joking. I recall you said as long as you are Speaker, this will be the tradition. You have kept your word. I want to thank you sincerely for considering the budget in this manner. Noting that the House of Assembly was flexible enough to accommodate additions to the budget due to new developments, he said, “What is significant is your flexibility and sensitivity. We just got the right to host the 2020 National Sports Festival last Sunday and no sooner, an application was made to the committee, you moved into action to incorporate the expenditure that will be required to ensure that we successfully host the game. “We want to thank you for the gesture of putting in reasonable amount to support our security architecture. We want to assure you that from the plans we have in place and from the operational details we have, this fund will be put to very good use and we would not disappoint Edo people,” he added. Presenting the 2019 Appropriation Bill for his assent, Speaker, Edo State House of Assembly, Hon. Kabiru Adjoto, said due consultation was undertaken with different Ministries, Departments and Agencies (MDAs) before the upward review of the bill. 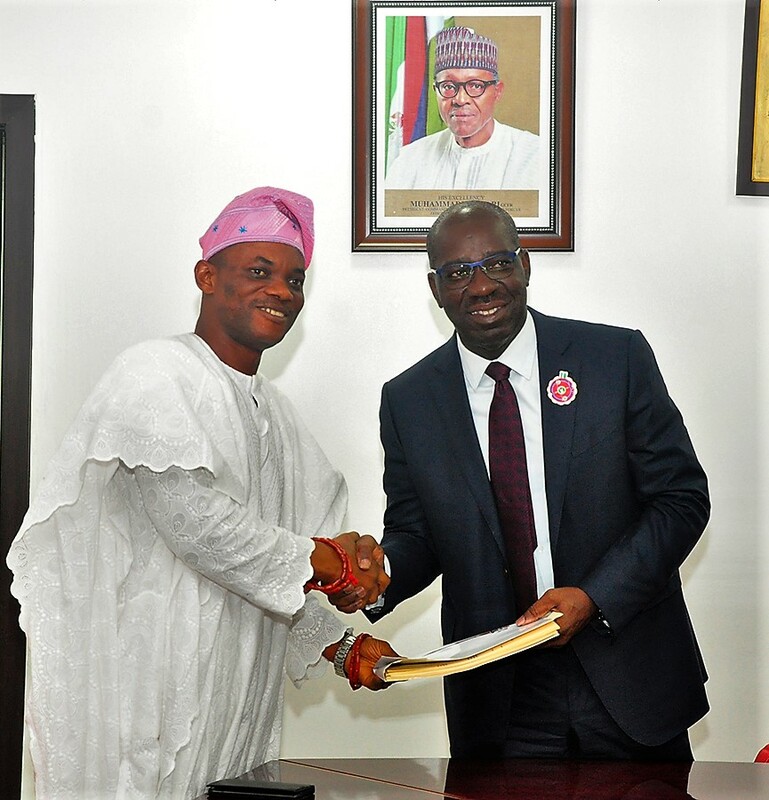 Adjoto explained that the upward review, which is in the area of capital expenditure, is 4.3 percent of the N175 billion presented to the House and is to ensure the completion of ongoing infrastructural projects in the state.